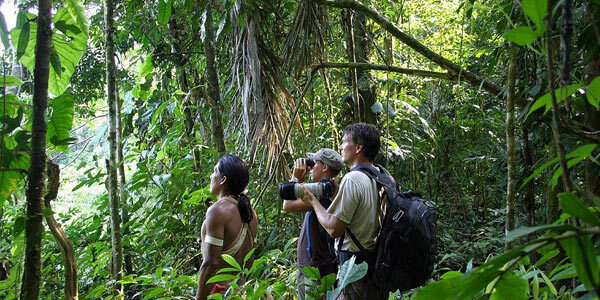 Explore the Amazon of the Huaorani Culture . . . This is the ultimate experience for seeing what life is like in the Amazon. 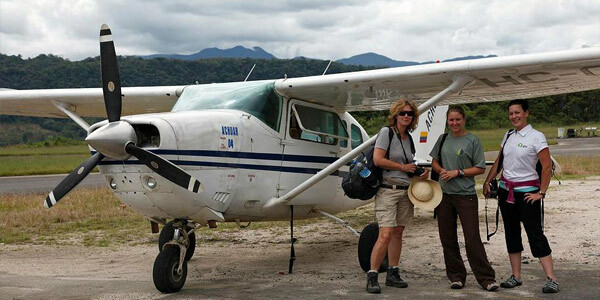 As a guest you will start out boarding a small plane, flying over miles of pristine jungle and landing on a remote grass strip, where you will then board a traditional dugout wooden canoe and travel to a Huaorani campsite. The Huaorani who have made this jungle their home for hundreds of years are the ones that run the camp, and are eager to show guests a look into their way of life. Guests will stay in palm-thatched cabins located in the campsite. 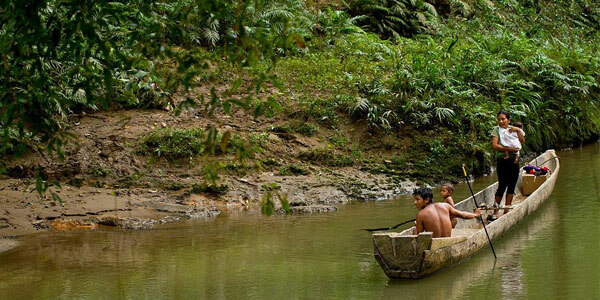 During their time here guides will bring them deep into the jungle exploring beautiful forest untouched by man. Guides, as well as individuals living within the community will teach guests about the forest, as well as traditional ways of living. You will learn how to throw a spear, shoot a blowgun, climb the trees, as well as learn how to identify plants and animals. You may even have the opportunity to learn how to produce fire without using any modern methods. You will also learn about how the outside world has had an influence on the Amazon as well as their way of life. "I went there with my wife last April and we found the place outstanding. The people, the nature, the animals, the surroundings are astonishing. As human beings, our call is to preserve that small heaven on earth and I reckon that a good way is to promote sustainable tourism. I very much recommend this..."
The Huaorani Lodge opened in 2007. Accommodation is in small cabins containing a pair of twin beds, a shower and a toilet. Electricity is provided 24 hrs a day. There is room for up to 10 guests. Visit the lodge's website.